Your one stop courier shop! Why call one courier for local shipments, one for out of town and another for overseas deliveries? Make one call to Parss Courier and have all your courier requirements handled professionally. You can always count on Parss Courier to provide the most efficient and reliable courier services and solutions for your business needs. Our Web-Based shipping system makes the need for waybills obsolete. We provide technologies that allow you to ship more efficiently right over the Internet. You will also find designated reference and client code fields for billable charges and access to an exclusive on-line address book where you can store an unlimited number of clients and their information without using valuable memory space on your systems. These are just a few options our system offers for your convenience and to ensure that the shipping process is both organized and user friendly. 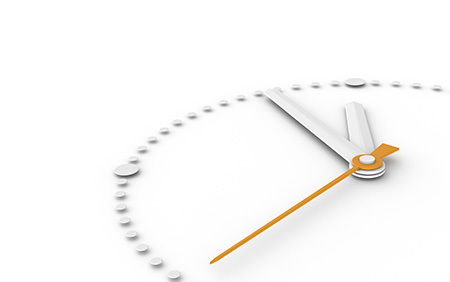 Every courier request processed by Parss Courier is monitored very closely by our dispatch personnel and communicated to our representatives, ensuring that we meet all of your time sensitive delivery obligations. Confirmation for every delivery is electronically retrieved for your records through the use of customized communications technology, which enables us to provide “Real-Time Tracking”. Once all pertinent tracking information has been obtained it is instantaneously posted to our Web page for easy accessibility or via e-mail. Effective 2006 we have implemented a “Blue-line” hyperlink gateway from our web page to our affiliated Overnight Domestic and International carrier’s database. 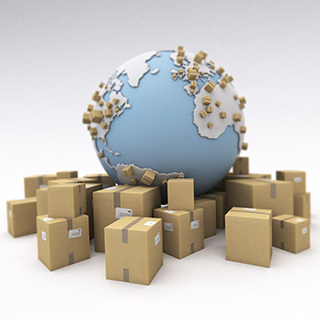 From our Web site you are now able to track all of your courier packages worldwide with the click of a mouse. 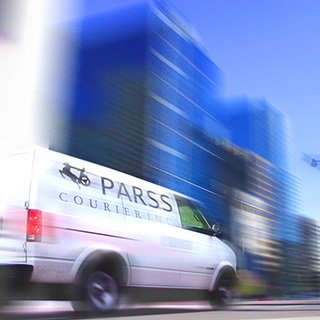 Parss Courier provides the most exclusive of all courier related services for your local and extended GTA courier requirements. Through the use of our Web-Based shipping system, all documents and products are electronically recorded and monitored closely by our internal and dispatching staff to ensure the most efficient services are being provided. These services range from our “Super Direct” 30-minute downtown core service to our “Overnight” Noon deliveries. Other local services provided on a sameday basis include our 1-hour “Direct”, 2-hour “Rush” and 4-5 hour “Regular” deliveries. This combination of sameday and overnight services provide a complete package of options for all of your courier requirements. In 1998 Parss Courier introduced International and Domestic “Sameday” and “Overnight” shipping to our portfolio of extended services. We have aligned our operations with the top providers of Overnight expedited services to best provide you with delivery services for your National and International packages. We work with our clients to achieve the most efficient and economical solutions for all of your overnight and same day courier requirements both worldwide and from coast to coast right here in Canada and the U.S.A.